Moxy has created a 2 ball bag in the form of a backpack. 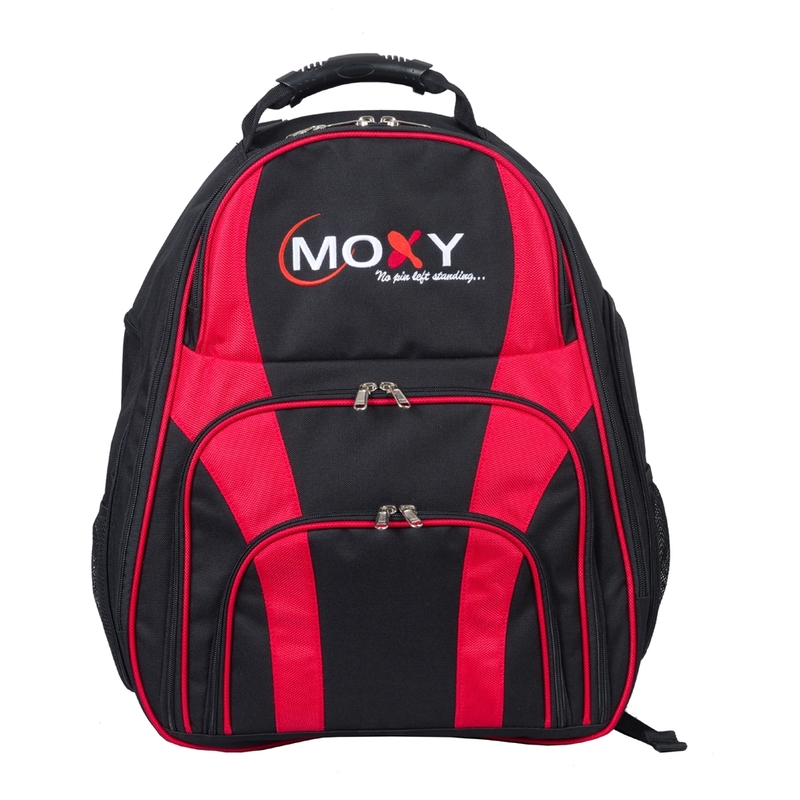 The Moxy Duo 2 Ball Backpack has a unique design and features that offer a twist on a traditional 2 ball tote bag. This backpack includes a secure compartment for your bowling balls, a designated place for your shoes, and several areas for accessories. You need to check this bag out! Holds two bowling balls plus one pair of shoes and accessories. Foam padded ball insert. Same heavy-duty fabric and stitching as Moxy's bag line. Interior shoe shelf with Heavy-duty grab handle and adjustable shoulder straps. Multiple enclosed accessory pockets sides and front.